The Book of Acts was written by Luke the Evangelist, a physician who has proven to be a very trustworthy historian. In Acts 1:3 Luke recorded that Jesus’ resurrection was demonstrated by “many proofs” (in the original Greek, en pollois tekmariois).” The phrase “en pollois tekmariois” means “‘decisive proof, and indicates the strongest type of legal evidence.” [See, John Ankerberg & John Weldon, Ready with an Answer, pg. 99 (1997) cf. Thayer’s Greek English Lexicon of the New Testament; Josh McDowell & Bill Wilson, A Ready Defense, pg. 219 (1993)] In today’s legal terms this would be evidence beyond a “reasonable doubt” or beyond a “moral certainty”, which are the highest burdens of proof required by the American legal system. This article summarizes the evidence Christian apologists rely on in determining that Jesus’ supernatural resurrection is a rational belief. The article also addresses the challenges made to the assertions of skeptics that natural explanations are always more preferable than supernatural explanations. However, it must be recognized that like any other historical event, the resurrection cannot be proved scientifically because in order for the scientific method to be applied, an event must be capable of being repeated. Since no historical event or person can be repeated, no historical event or figure can be scientifically proven. However, that doesn’t mean no proof is possible. Rather, like in many court proceedings when scientific evidence is not available, the truth is determined by considering the reliability of witness testimony as well as other available evidence. As set forth in the articles referenced below, Christian apologists confidently maintain that Jesus’ resurrection is verified by reliable witness testimony and documentary evidence in the same way other historical facts are systematically and rationally verified. No. 1: The resurrection best explains the historical evidence of Jesus being seen alive in a resurrected body on at least twelve (12) separate occasions by more than 500 witnesses, including at least two skeptics (James the Just and Paul fka Saul) (here>>). No. 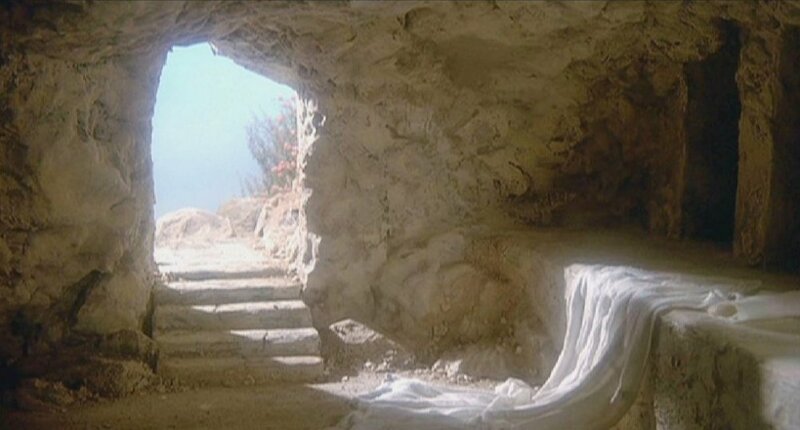 2: The resurrection best explains the historical evidence of Jesus’ tomb being found empty (here>>). No. 3: The resurrection best explains the historical evidence of the transformation in the lives of Jesus’ disciples from fearful fleers to faithful followers who endured great persecution and became martyrs for their faith (here>>). No. 4: The resurrection best explains why even Jewish leaders and skeptics converted to Christianity after Jesus was crucified, even though Christianity was foundationally centered on Jesus’ resurrection. No. 5: The resurrection best explains why there is no evidence any site was ever venerated as Jesus’ burial site even though it was common practice in that day to venerate the burial sites of religious and political leaders. No. 6: The resurrection best explains why the early Church centered its teachings and practices around a supernatural event like the resurrection instead of something less controversial like Jesus’ moral teachings. No. 7: The resurrection best explains the sudden rise and expansion of Christianity so soon after Jesus death even though Jesus had been crucified by the Romans as a political traitor and declared a religious heretic by the Jewish religious leaders. Over the last 2,000 years, skeptics have proffered various alternative theories to attempt to explain away the historical evidence of Jesus’ supernatural resurrection. However, as discussed in the above-linked articles, Christian apologists maintain none of the proposed naturalistic theories adequately explain the totality of the historical evidence and none of the theories are rationally compelling. Since there is a rational basis for believing God exists (here>>) and since Jesus’ supernatural resurrection is the one explanation that adequately explains the totality of the historical evidence, Christian apologists maintain there is a reasonable basis for believing God supernaturally raised Jesus from the dead as reported by multiple independent sources in the New Testament. Believe He was Supernaturally Raised from the Dead? Many skeptics maintain that no matter how inconceivable or inadequate a natural explanation of Jesus’ resurrection may be, any natural explanation is preferable to the explanation that Jesus was supernaturally raised from the dead. The principle that natural explanations are always more simple and, therefore, preferable to supernatural explanations is often referred to as Occam’s razor. Point No. 1: The principle of Occam’s razor only applies if an adequate “simple” explanation is offered. However, in the case of Jesus’ resurrection (as set forth in the linked articles referenced above), none of the naturalistic theories tendered by skeptics adequately explain the totality of the historical record. Since no naturalistic theory has proven to be adequate, the principle of Occam’s razor cannot reasonably be relied on to rule out Jesus’ supernatural resurrection which does adequately explain the entirety of the historical record. Point No. 2: While it is true that, in general, simpler theories are preferable to more complex explanations, it is also true that an incorrect simple theory is never preferable to a more complex but correct theory. As stated by Albert Einstein, “Everything should be made as simple as possible, but not simpler.” In the case of Jesus’ resurrection, none of the proffered naturalistic explanations adequately explain the totality of the historical evidence; therefore, Jesus’ supernatural resurrection (which does explain the entirety of the historical record) is the simplest adequate explanation. Although some skeptics are quick to allege that anyone who believes in Jesus’ supernatural resurrection is an intellectual simpleton who just isn’t willing to do the hard work of looking for an adequate natural explanation, this allegation is unfounded. Many well-respected philosophers, thinkers and scientists have been convinced that God supernaturally raised Jesus from the dead. A handful of examples include Augustine, Isaac Newton, C.S. Lewis, Alvin Plantinga, Richard Swinburne, William Lane Craig, J.P. Moreland, Gary Habermas, Simon Greenleaf, John Warwick Montgomery, John Lennox, Hugh Ross, Ian Hutchinson). Because there are good reasons to believe God exists and that God supernaturally raised Jesus from the dead, Christian apologists insist that it is not only unfair for skeptics to claim Christians are intellectual simpletons for believing in Jesus’ resurrection, but it is intellectually dishonest to write off the resurrection as mere foolishness. Slideshow Photo: Graphic representation of Jesus’ empty tomb (author unknown).